Situated on the picturesque street up to Nottingham Castle Fothergills is one of the nicest places in town to enjoy a drink in the summer sunshine. That is exactly what I have done regularly over the last few weeks, but often gone elsewhere for food. Nothing against Fothers (hopefully it is not just me who calls it that…) but I have never been inspired to dip into their menu, opting instead to continue sampling the local beers on offer. One day however we felt we should take that plunge. Upon visiting their website recently I noticed that their offer is described as: “a unique, international, bistro-style fixed price menu”. One should be immediately suspicious when seeing the many adjectives needed to describe what should just be good pub food. 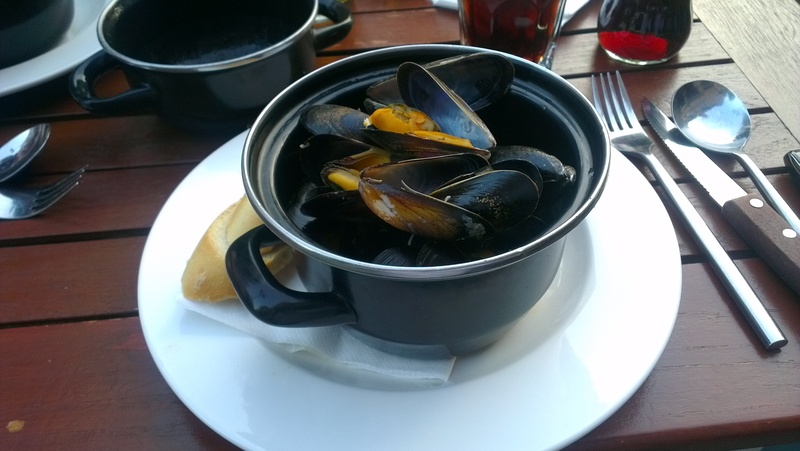 We went with the international theme to start as both diners were tempted in by the Thai Style Mussels. Sadly the experience started on the back foot with the dish taking an inordinate amount of time to arrive for what should have been a dish with a speedy turnaround. What did arrive had a mostly coconutty resemblance to the cooking of Thailand, where the menu promised chilli there wasn’t a suggestion of heat. The flavours of ginger and lemongrass wouldn’t have gone amiss here too, more Thai Style over Thai Substance in the end. 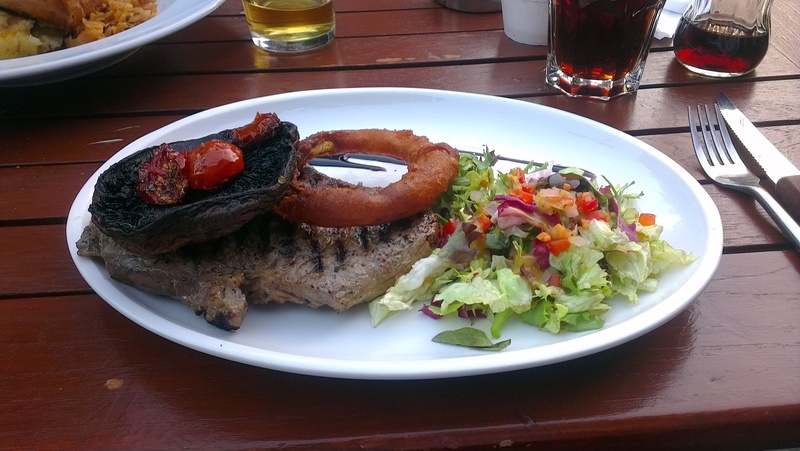 I have to admit to hardly testing the culinary prowess having chosen steak as my main. It was capable but no more, the quality of the meat fine and accompaniments passable at best. A solitary onion ring was fried to within an inch of its life. I often think a little quality of salad can make a real difference but here it was the usual limp afterthought from the kitchen. 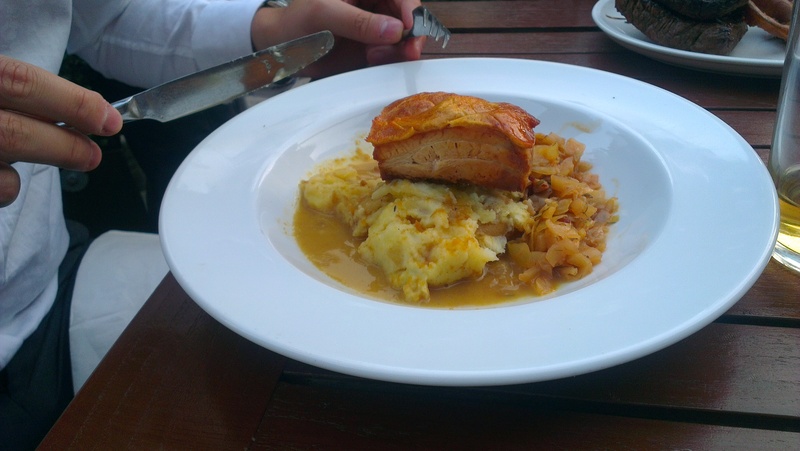 My fellow diner opted for the pork belly which arrived teetering precariously on its bed of mash. The meat was again adequate although the dish really summed up the cooking at Fothergills, a little beige. The value here is not bad, we took advantage of the set menu with a hearty 2 courses for £14.20 (Yes, £14.20) with a small supplement for the steak. Having said that I’ll stick to drinking at Fothers but won’t be hurrying back to eat.